Most of you probably do not like the eggplant. 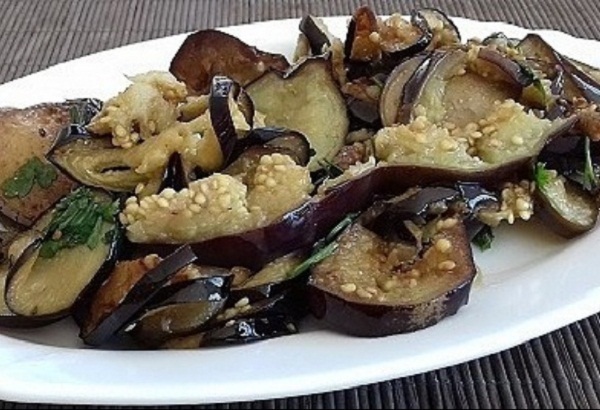 But when you try this keto eggplant salad, believe me, you will change your mind. This is one very healthy, Paleo, low-carb, gluten-free, grain-free, dairy-free, vegetarian, and Keto salad. But it can also be a nice filling for your sandwich. Garlic not only makes food delicious, it may also have a number of health benefits. Some of these benefits are more likely if you eat your garlic raw, since cooking it may reduce the amounts of certain chemicals garlic contains. In this salad, you eat them raw.